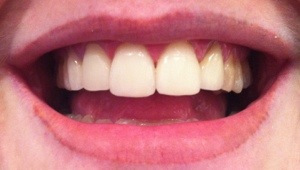 With minimal drilling, cerec porcelain veneers were made and fitted in one appointment. 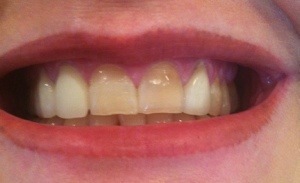 A lovely smile, and a happy lady! One of the many advantages of this method is that the patient is involved with designing the shape, colour and size of the teeth at all stages; there are no unpleasant surprises as can occur when impressions are sent away to a lab.